Angelfall begins six weeks after the angels of the apocalypse destroyed the world, killing millions. Seventeen year old Penryn is trying to keep herself, her mother, and her little sister alive in California where gangs rule the street and food is hard to come by. When they are running down the street to find a new hideout, a group of fighting angels descends from the sky. They rip one of the angels’ wings off and when Penryn tries to help him so that her sister and mother can escape, one of the angels takes her sister. She teams up with the wingless angel, Raffe, agreeing to help him find the angels that took his wings if he helps her find her sister. As I’ve said before, I am really over the whole angel genre, so I was definitely more than a bit skeptical about this book. I am happy to say that I was VERY pleasantly surprised to discover that Angelfall is not about fallen angels or a boring romance or a weak heroine trying to decide between dark and light. Angelfall is about the apocalypse, and Penryn Young is in no way weak. Her mother sent her to all kinds of self defense courses at a young age so Penryn is able to fight her way to her sister. She is willing to do anything to rescue her, even if it means fighting angels that are many times more powerful than she is. Raffe is an angel and, like all other angels, he sees humans as lesser beings. Throughout the book his opinion changes as he gets to know Penryn and he begins to realize that there is much more to humans than he previously thought. Without his wings he is much more vulnerable and he has to learn to live like a human until he gets them back. The romance between Penryn and Raffe did not happen instantly at all, which was great. At first they hate each other and are only working together because of a mutual goal. As they spend more time together and Raffe realizes that Penryn is not a helpless human but a girl capable of fighting alongside him, things change. I loved their relationship and I can’t wait to see where the next book takes them. Overall, Angelfall was an amazing book and was definitely not your typical angel story! The ending was phenomenal and will definitely leave readers hungry for more! 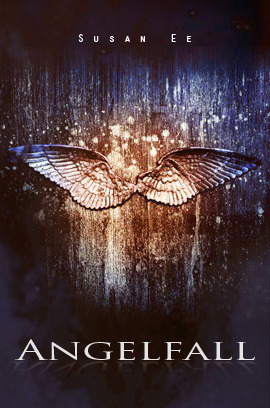 Angelfall was released May 21, 2011 and is the first book in the Penryn and the End of Days series. The second book is still untitled but is set to be released in 2013.